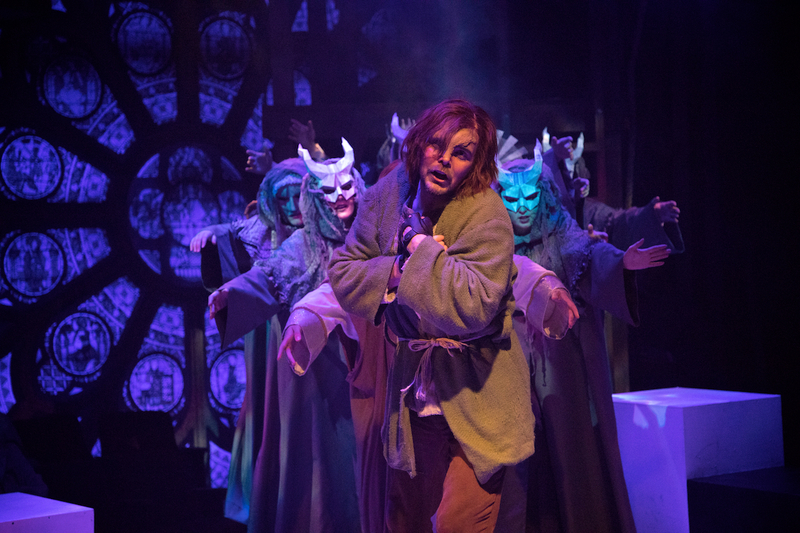 J. Peter Bergman praises The Hunchback Of Notre Dame as “Emotionally sound, beautiful…” in The Berkshire Edge. Lisa Jarisch is full of praise in her review for the Berkshire On Stage. “More Theatre Talk” with Hunchback of Notre Dame cast members: Laura Helm (Esmeralda), Michael Brennan (Phoebus De Martin), and Quinto Ott (Frollo).